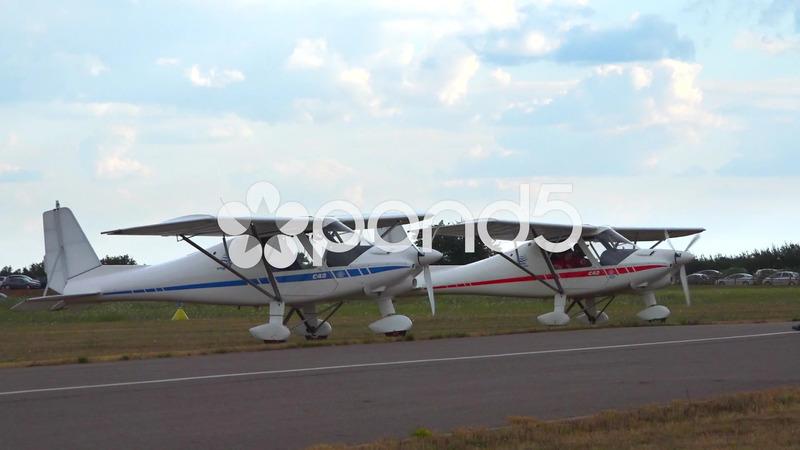 Description: 2 planes Cesnna waiting to take off. Motor on. A Pilote walking to first plane.